This sampler showing the Eaton family registry from 1817 to 1860 was stitched by 12 year old Cora Eaton in 1872. 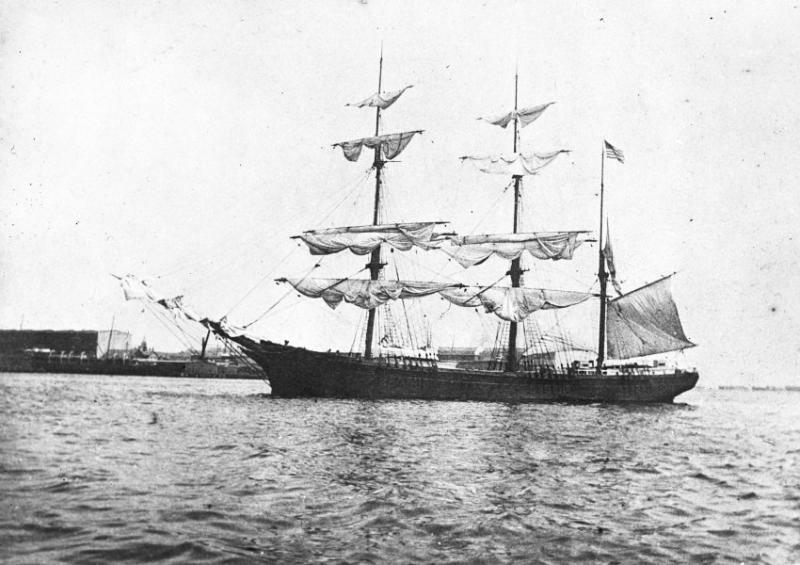 The schooner Georgia Gilkey was build in Searsport in 1890 by W. R. Gilkey. She was 158 feet long, with a registered tonnage of 641 tons. She was named for Georgia P. Sawyer Gilkey, wife of Captain Gilkey and mother of Georgia Gilkey, who grew up to marry Phineas Banning Blanchard. 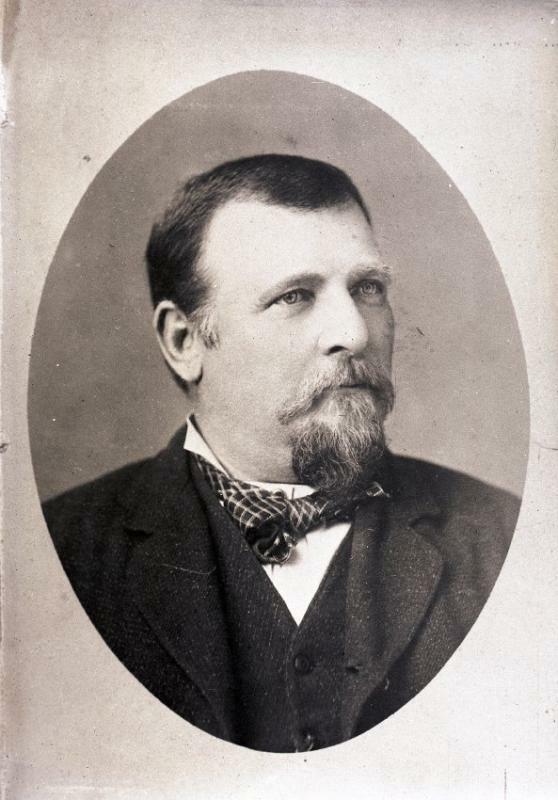 Phineas Banning Blanchard was the son of William H. Blanchard and Clara E. Pendleton Blanchard. He was born February 20, 1879 (at sea on the Bark Wealthy Pendleton) and died March 23, 1962. He commanded the Bark Herbert Black, 1899-1900; the Bark Willard Mudgett, 1901-1904; the Ship Bangalore, 1903-08; and the S.S. Hermosa, 1905. He retired from the sea in 1915 and was associated with Turner and Blanchard Stevedores, Brooklyn, New York. He served eight months in the American Navy during the Spanish-American War. 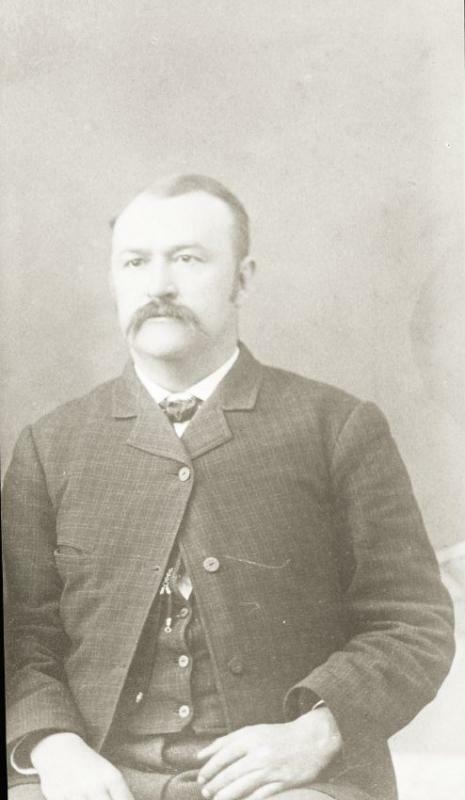 William H. Blanchard was the son of James Blanchard, Jr. & Mary Young Clifford Blanchard. He was born in1836 and died in September, 1904. He was a passenger on the Bark Willard Mudgett, commanded by his son Captain Frederick Pendleton Blanchard, when the vessel sank with no survivors. James Nelson Pendleton was the son of James Hervey Pendleton & Esther Houston Pendleton. He was born November 16, 1853, in Searsport, Maine and died in June, 1920, in Eustis, Florida. He commanded the Ship David Brown 1882-86; the Ship Nancy Pendleton, 1887-92; and the Ship Mary L. Cushing, 1893-1900. He retired from the sea in 1900. 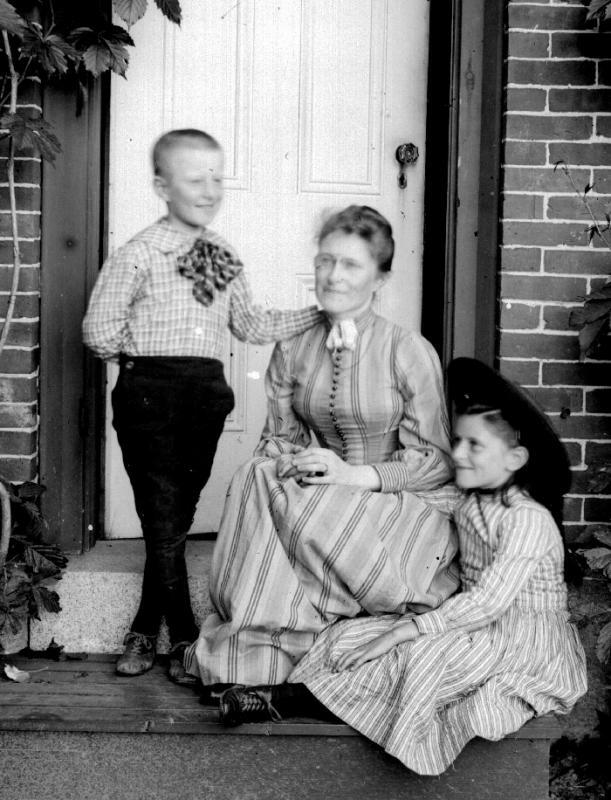 Jane French Sweetser Colcord was the photographer's sister, and this picture was taken at the family house in Searsport. 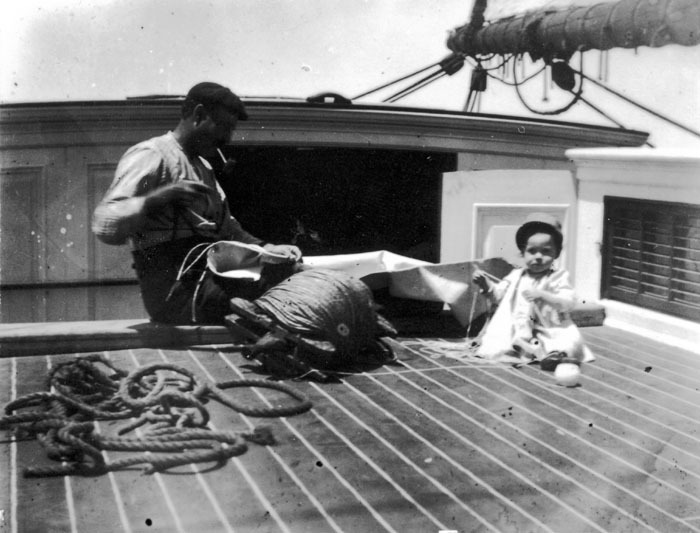 The children are Lincoln Ross Colcord and Joanna Carver Colcord, both born at sea on board the bark Charlotte A. Littlefield. 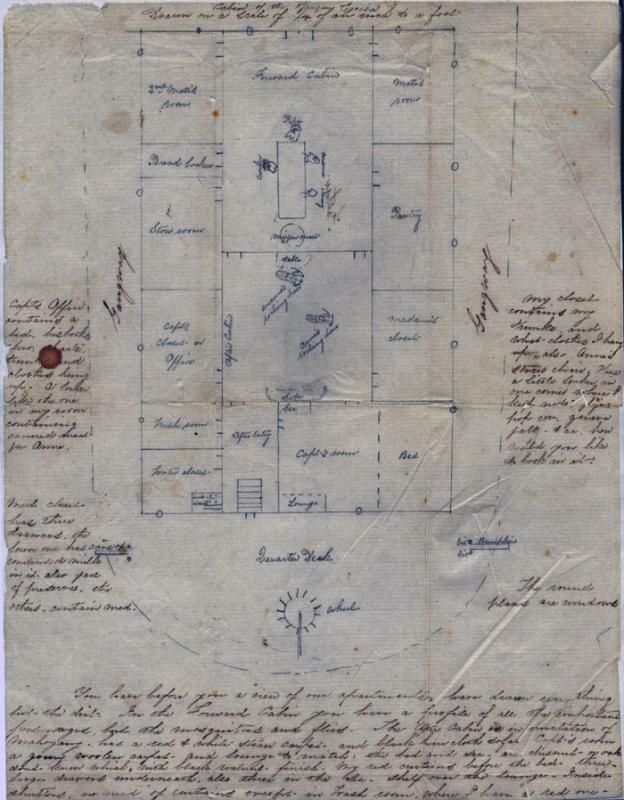 Cabin plan of the 640 ton bark Egeria, built in Newburyport, Massachusetts in 1864. 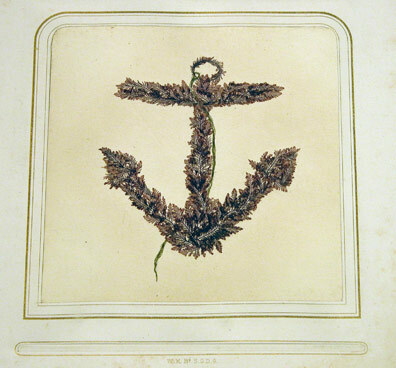 The plan was drawn by Ellen Cutter Starrett, wife of Capt. 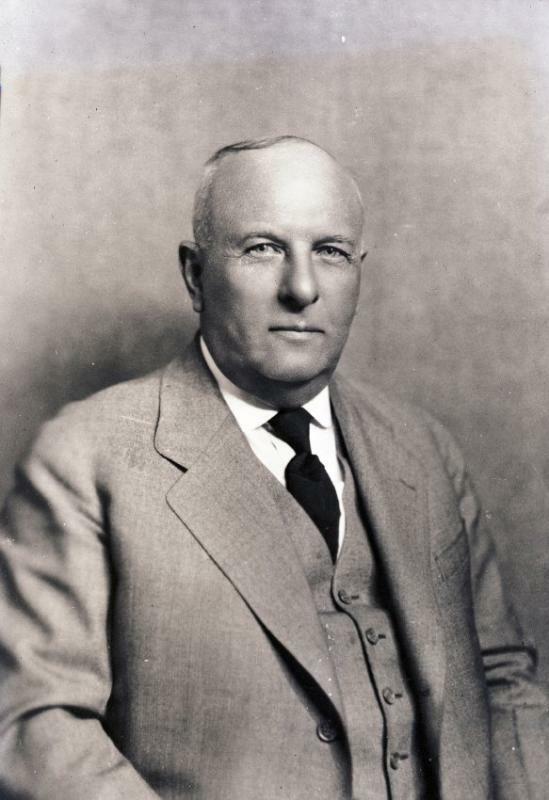 Henry A. Starrett. The Starretts were from Belfast. Note that Ellen's and their daughter Annie's rocking chairs are drawn into the sketch. The sketch is from 1868 when Captain Starrett first took over the bark which he commanded for four years. 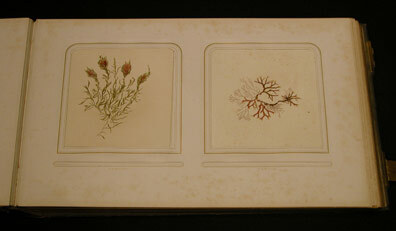 These sea mosses were artistically pressed by Ellen Cutter Starrett, wife of Captain Henry A. Starrett, while they were aboard the ship T.J. Southard. 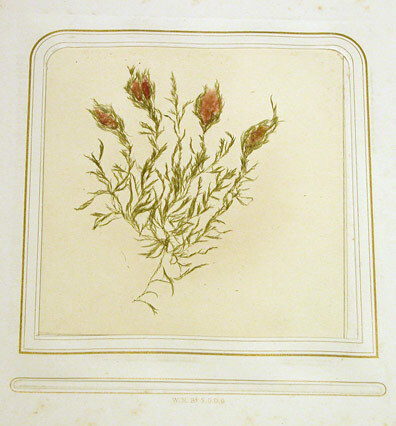 Ellen notes in the beginning of the album, "Mosses pressed at the Chincha Islands in the spring of 1864." This was a popular activity for captains' wives, particularly in a place like the Chincha Islands, where a ship might wait for a long time before it could load guano. 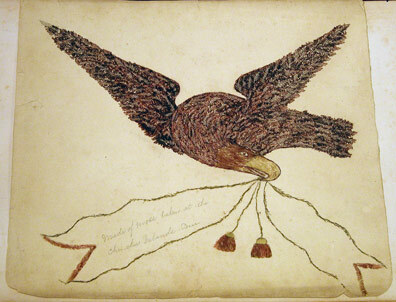 The eagle pressing has a label that says "Made of moss taken at the Chincha Islands Peru." Some documents suggest that the baby might be Joanna Colcord, from Searsport, who was born at sea in the South Pacific in 1882.